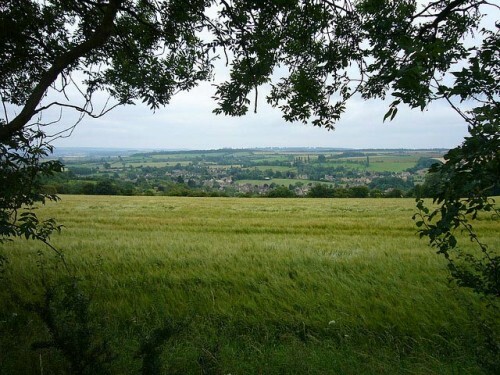 Dovers Hill is a popular hill on the edge of the Cotswolds. 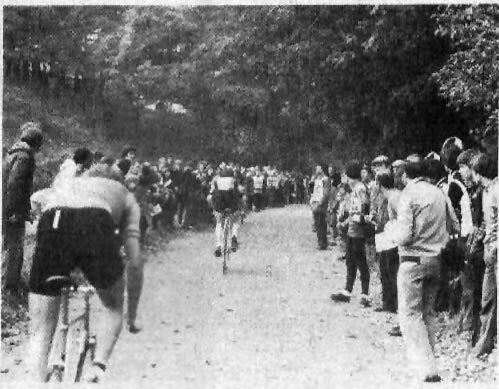 It has been used as the national hill climb championship on six occasions – in 1963, 1968, 1973, 1978, 1998 and 2010. Dover’s hill is just over a mile long, with an average gradient of about 9%, and is 14% at the steepest. The gradient is fairly constant, except for short bit at finish which is quite flat. It is a good hill for a fixed gear bike, and you can do most of the hill seated in the bike. It is a classic British hill climb and one of the most popular national hill climb venues. 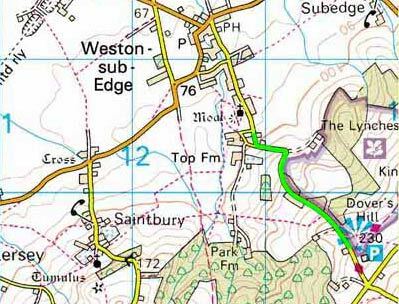 The hill climb course, is slightly shorter at 0.9 miles. There are several good climbs in this part of the world. The parallel climb up Saintbury is a bit longer and steeper. START opposite a field gate and in line with a utility building in the field on the left, approximately 75 metres south of the unclassified road Parson’s Lane. Proceed to climb Dover’s Hill, passing the half way point sited 4.2 metres north of Telegraph Pole 99 and near to Knapp Cottage, to FINISH opposite the Steep Hill warning sign (14%) and approximately 25 metres before the entrance to the National Trust car park on the left. 2010 was a good season. I won many races, but not the warm-up race on Dover’s Hill. I finished 3rd in the open. Shame the national wasn’t on the slightly longer Saintbury. Dan Fleeman won his second national title. Matt Clinton finished 2nd. 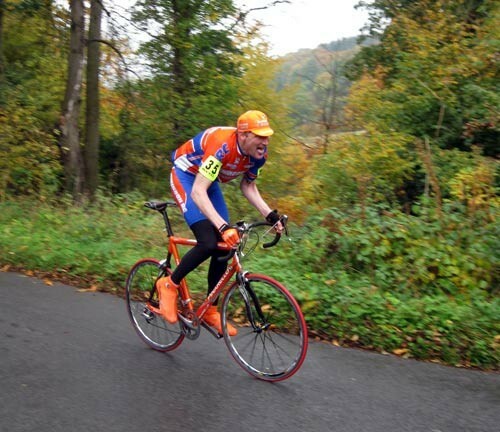 This weekend was a two stage hill climb put on by Warwickshire RC. I did this event in 2008. The first climb of the day was Saintbury hill climb. This is longer and more suitable for geared bikes. At the bottom is it is quite steep (perhaps 16%) before levelling off for long climb to the top. After riding Saintbury, I went up Dover and crossed over to this crossroad to take one or two photos of people still racing. I managed to hang on for the overall victory by four seconds, which was great. It was great to meet some regular readers and commentors to the blog. – P.J. A good ride to squeeze into top ten, Dave Preece (Worceter St Johns) and Neil Blessitt (Severn Road Club). Also nice to chat to young Team Raleigh riders Mike and Richard. I was pleased with ride, it also means I have an outside chance to do well at Nationals at the end of the month. Also with the margins so close, it makes me wonder whether I should look into buying some super light weight wheels. I wouldn’t be surprised if the top ten placings are decided by fractions of seconds. Of course, personally, I would prefer a climb like Saintbury, but, I think Dovers is just long enough to give me a chance. Prize for winning two stage event on Dover’s hill.